Mumabi : Contemptuously dismissing the Shiv Sena move to snap its 25-year-old partnership with the Bharatiya Janata Party (BJP), Maharashtra Chief Minister Devendra Fadnavis on Saturday declared that the BJP has arrived, and it doesn't need an alliance with the Sena. "The BJP has arrived on its own strength..We don't need any alliance with the Shiv Sena... With the visionary leadership of Prime Minister Narendra Modi, we have shown it in the last Lok Sabha and Assembly elections," Fadnavis said. "They are questioning 'what is our status (aaukaat')' - We will show it to them on February 21,... We are fully confident of winning the civic elections," he declared. 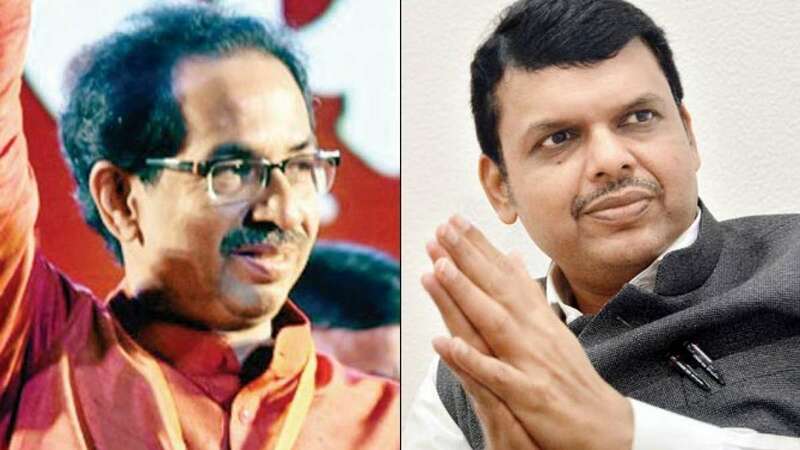 In a thundering speech, Fadnavis castigated the Sena for unilaterally severing its ties for the upcoming civic elections next month, and squarely blamed the party (Shiv Sena) for all the ills plaguing the common Mumbaikars. "Not any more...Our sole agenda is development. We have made it clear that Mumbai will develop, its progress in inevitable... We shall ensure that whatever tasks remained incomplete or merely on paper for the past 25 years, will be implemented by the BJP," Fadnavis assured, addressing a meeting of party workers here late on Saturday evening. Recounting the developments on the eve of the 2014 assembly elections, Fadnavis claimed that if the Shiv Sena-BJP alliance had not snapped then, he would never have become the Chief Minister. "It actually helped us to show and consolidate our strength, but the Shiv Sena was stuck in its adamance on seat sharing despite all our efforts for a compromise formula, and now has broken the alliance for the civic elections," he said. Listing his agenda for Mumbai, Fadnavis said the BJP would take up development of BDD chawls in central Mumbai, coastal roads, develop beaches as tourist points, constructing the Mumbai Trans Harbour Link bridge within four years. Additionally, he listed redevelopment of the 60 per cent slums comprising Mumbai, metro rail networks, a CCTV cover for peoples' security and other mega projects to ease the lives of millions of Mumbaikars who spend hours daily in commuting. Accusing the Shiv Sena of "double-talk", Fadnavi said "on one hand we get all permissions and clearances for the coastal road, the Sena insists that BMC should construct it, and then they (Sena) instigate the Koli fisherfolk to oppose it". "Which side are you on? I would like to assure all the Kolis, who are the original inhabitants of Mumbai, that nobody's livelihood will be hit by the coastal road and we shall implement it... Our administration shall always work for the poor and downtrodden," Fadnavis declared. He made it clear that there were no ideological differences between the BJP and Shiv Sena - "It's a fight for honesty and transparency between us, while it's an ideological fight with the Congress-Nationalist Congress Party. But what kind of transparency have you shown all these years?" Ridiculing the Sena's slogan for the upcoming BrihanMumbai Municipal Corporation elections that "We Have Done It", Fadnavis said on the contrary, it would be better if the public had said "You have done it". "You carry the saffron flag in one hand and resort to extortion and corruption... This is not at all acceptable to us," Fadnavis said, adding that the BJP was prepared to go to any extent for a transparent and clean administration.